I started this blog over a year ago, re-invigorated by the release of Dungeons and Dragons 5th Edition. I intended to fill this blog with endless ideas, not all of them entirely formed, about roleplaying, world-building, and home-brewing your own game tweaks. Then something happened. I discovered Critical Role, Geek & Sundry's brilliant new Twitch stream of a crew of voice actors playing D&D together. I have been hooked on it ever since, staying up late on Thursday nights to watch at least the first half of each episode live and then catching up the rest over the weekends. It is amazing to see thousands of people tuning in for long-form, live roleplaying. Each stream is at least three hours long, but people watch. Including people who have never played D&D before. The fan community, the Critters, are the best fan community I have ever been a part of. 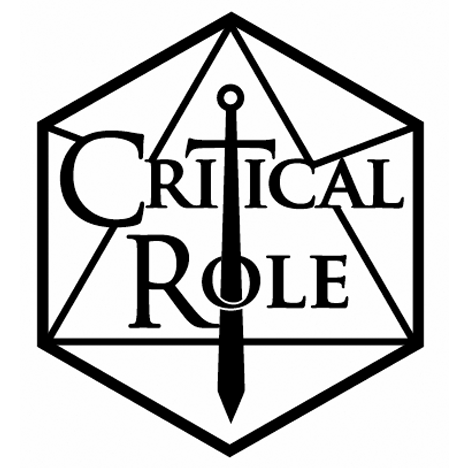 They are a mix of new roleplayers and veteran roleplayers, forming dozens of games both online and in-person, and joyously supporting each other through their shared love of Critical Role and the roleplaying game hobby. This is where my past year went. Invested into those awesome people. I helped build an online forum where Critters could talk. I joined new online games run by Critters. I spent countless hours on Twitter engaged in ridiculous and fantastic conversations with them. I don't regret a second of it. But now I want to get back to writing. I need to get back to writing. And so I am coming back here with a new commitment to set aside one night a week to writing for this blog. In the coming months, you should see new D&D character class archetypes, new ideas on using Inspiration mechanics in D&D, and some conversion notes to bring Planescape into 5th Edition (in preparation for a campaign I plan to run). Check back soon!